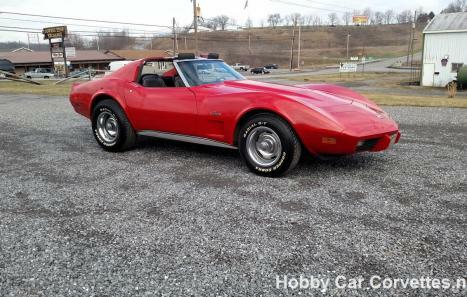 This 1976 Red Corvette is a blast to drive thanks to the upgrades done by the previous owners. Numbers matching, automatic, black leather interior, power steering, power brakes, power windows, rally wheels, tilt and tele steering column, X-A/C, AM/FM Delco radio, headers, dual exhaust, and much more. We installed spark plugs, upper and lower control arm bushings, front brake hoses, fan clutch, oil and filter, transmission filter and gasket, and much more. We also changed the oil and filter, and rear end grease and additive, along with checking and lubing the chassis. The previous owners had the original engine and transmission rebuilt, and also had the upper and lower ball joints, MSD HEI distributor, and much more done. 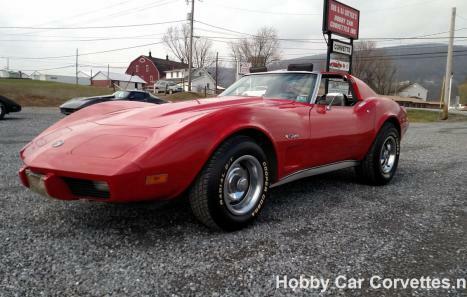 1976 was the last year for the Stingray emblems on the fenders of a corvette until the C7 generation. 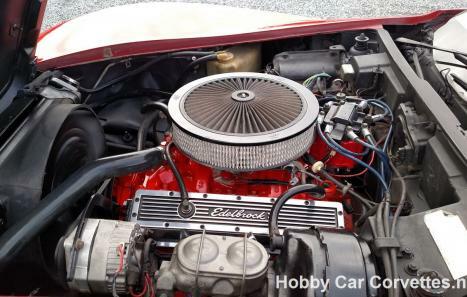 GM only produced 4,590 in red out of 46,558 total production that year.